Oman has announced it’s accepting 10 Guantanamo detainees, just days before President Obama leaves office. The men were on the list of those approved from transfer. There was no immediate word from the US Defense Department about the transfer. The men had previously been approved for transfer but remained in limbo because they came from Yemen, which is considered unstable, since the country has been in a state of political crisis since 2011, coupled with an ongoing Saudi-led military assault. During his election campaign, outgoing US President Barack Obama promised to close the controversial military prison, arguing it served as a recruiting tool for Islamic State. There were 242 prisoners at the site when he took office. After Monday’s announcement there are 45 remaining. As Obama tried to meet his campaign promise, he was met with strong opposition from Congressional lawmakers worried that downsizing the facility and housing detainees in US state prisons would make it targets for reprisals. In November 2015, Congress issued a ban on transferring detainees to US soil for any reason, including trial. The US opened the prison at the US naval base in Cuba to hold “militants” suspected of ties to al-Qaeda and Taliban after the 9/11 attacks. Most were never charged with a crime, but their indefinite detention, sometimes as long as 14 years, and their mistreatment triggered international criticism. US officials said 19 of the remaining 55 prisoners at the military prison were cleared for release and could be freed in the final days of Obama’s presidency, AP reported. A September report released by the Office of the Director of National Intelligence said 122 of the 693 detainees transferred out of the prison, or 17.6 percent returned to fighting. 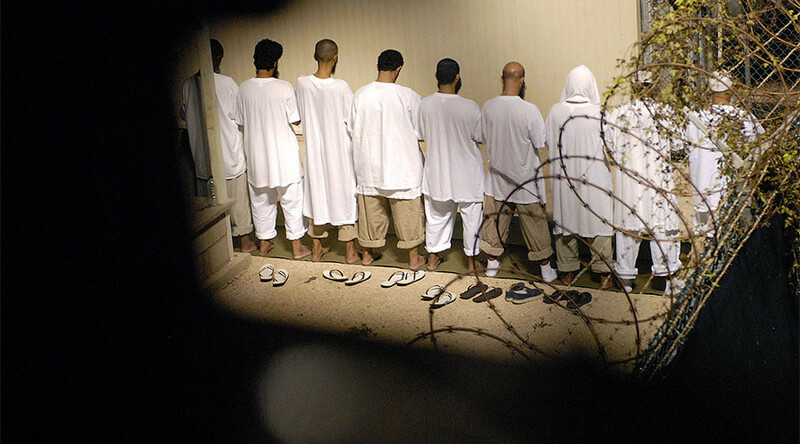 Most of the 693 detainees held at Guantanamo were transferred under the Bush administration. Of Bush’s transfers, 21 percent were confirmed to have re-engaged in military activities. Only 9 of the 161 detainees transferred by Obama, or 6 percent, have resumed fighting, according to AP. The majority of Guantanamo prisoners have been sent to Afghanistan, Saudi Arabia and Pakistan. During his campaign, Trump said not only does he want to keep the military prison open, but also "load it up with some bad dudes."